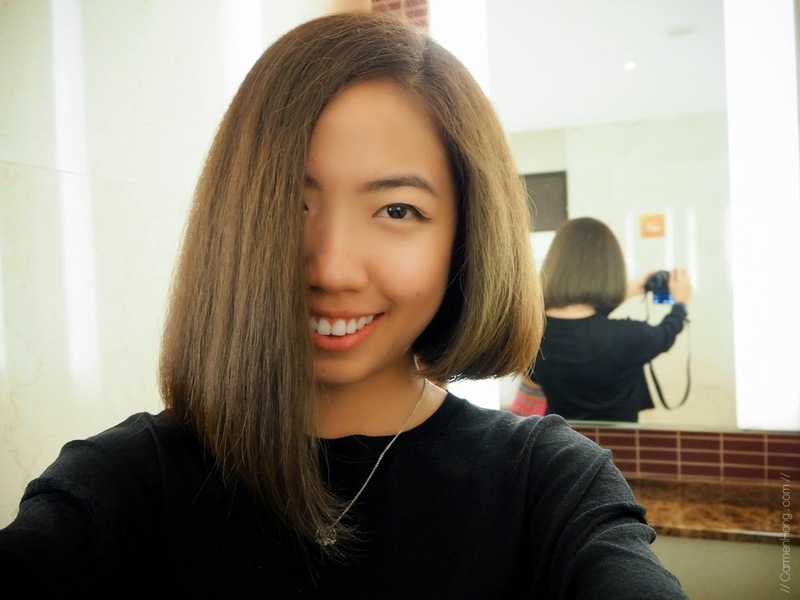 Review: number76’s Ultrasonic Iron Treatment | It's my life. I don’t think I’ll need to introduce what Number76 is, it is definitely something you would have heard of if you have ever considered getting your hair done. I first stumbled upon it years ago, and I was there to try out their tansan treatment when it was first introduced. And now, I’m back there again to try their signature treatment, the Ultrasonic Iron Treatment. 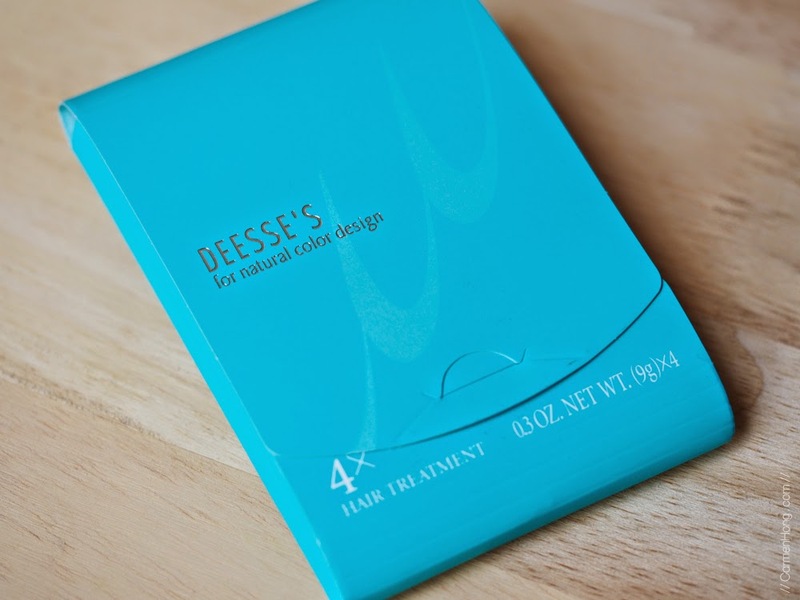 I decided that it’ll be nice to give the treatment a try, and see if it would work on my hair. 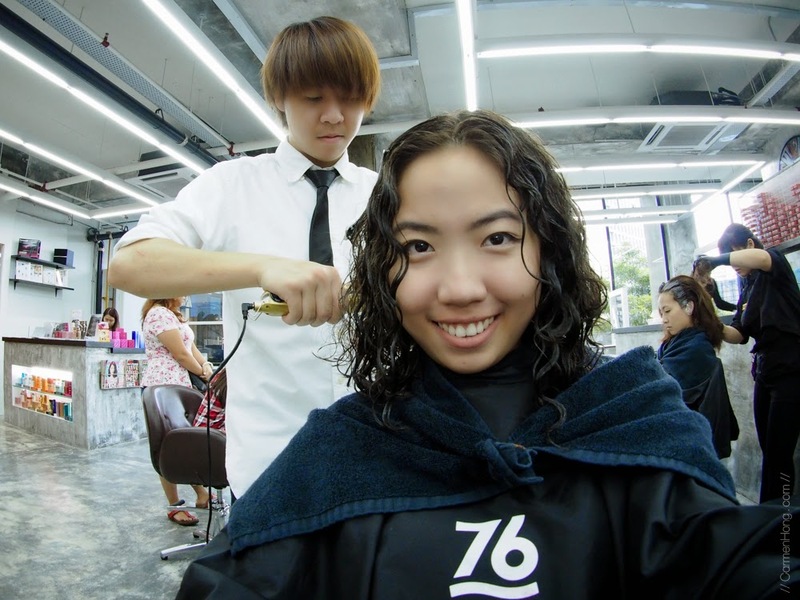 I made an appointment at Number76, the Northpoint branch and I was assigned Director Yamamoto as my stylist. My last visit to the salon was sometime back, and when I returned there again, I realised they revamped the interior of the salon. 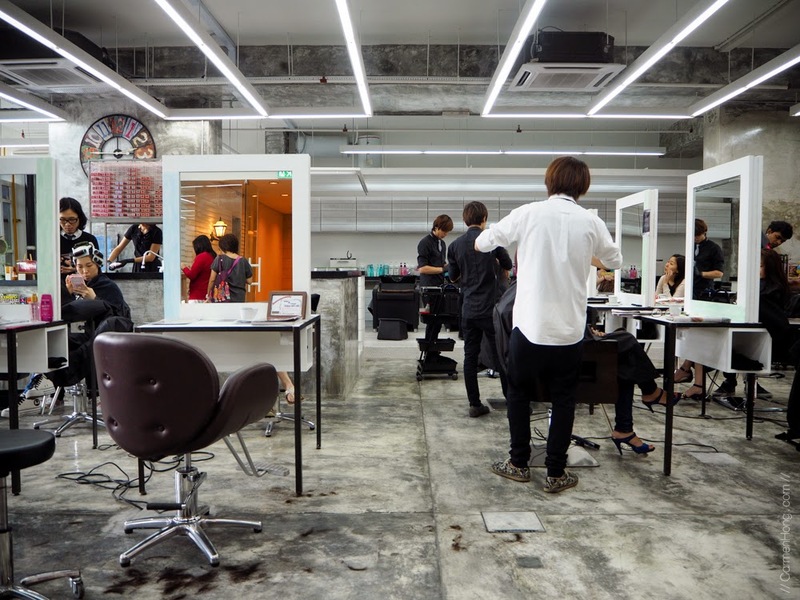 It looks more industrial, spacious and fresh, which is very different from most salons. I like how much natural light fills the whole place up, because then you can see your hair color under the natural light, which is important especially after coloring your hair. 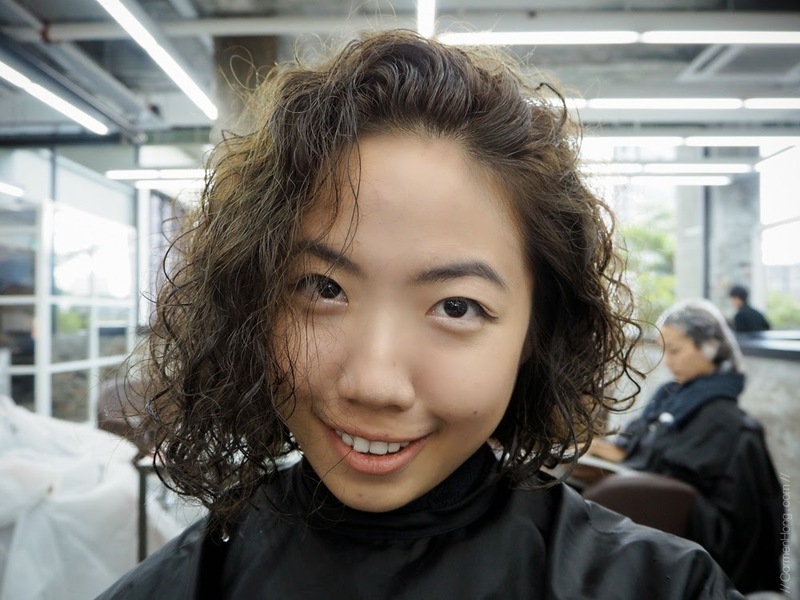 A day before I went to the saloon, I actually had an impromptu hair cut; I had the stylist chopped my hair till shoulders’ length and the stylist then styled a messy hair do for me, which explains why my hair is so messy. That is how I look like with short curly hair, and with black roots obviously showing already. This is why then, that I decided I would colour my hair here in Number76. I wanted an ashy brown colour, but I didn’t want to bleach my hair. As it turns out, I didn’t need to bleach my hair, and I can still get ashy tones. Here’s another picture after I’m all prepped up at the seat. Because I was also doing hair colouring which is a chemical hair service, I had two towels wrapped around my neck, then the large plastic coat, and another towel on my shoulders. They also had my bag placed into a black protective bag too! Anyways, let me get back to the Ultrasonic Iron Hair Treatment, that is the main review that I am posting about. 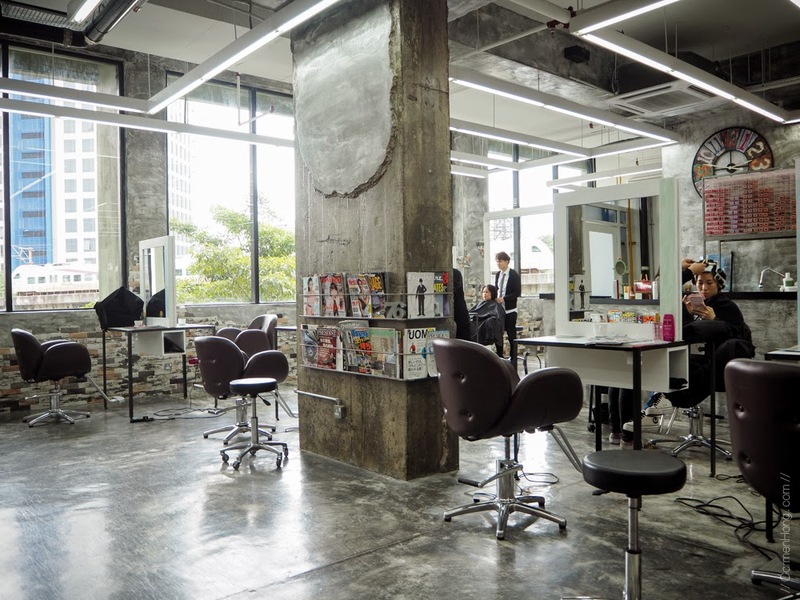 For the Ultrasonic Iron Hair Treatment, what happens is you’ll have a hair treatment done and after rinsing the treatment off, then with your hair in a semi wet condition, the stylist would then iron the hair with the special Ultrasonic Iron. Unlike other normal iron, this one doesn’t heat up like normal iron and hence, it is not damaging to your hair. What the Ultrasonic Iron actually does is that it vibrates at 37,000 beats per second, separating particle of protein, water and oil in the hair treatment earlier to ensure that it penetrates deep inside your hair structure. So, when that happens, it will leave your hair feeling soft, silky and smooth! What more is that you can see the immediate results of it. I recorded a short video to show you how the Ultrasonic Iron works, with the vibrations and the no-heating element too! The video is not edited, and is as recorded so excuse the noob recording skills. 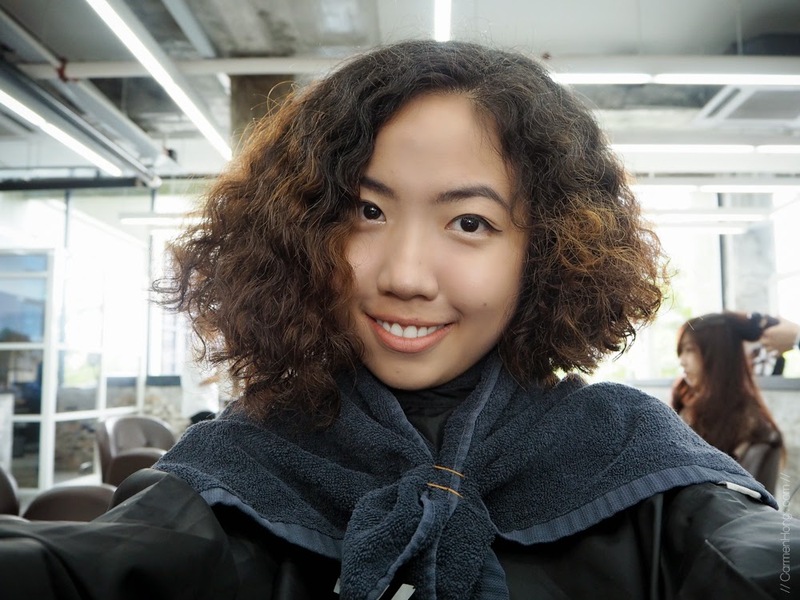 And this is how my hair looks like immediately after the Ultrasonic Iron Hair Treatment, before styling it of course. My hair is still slightly damp from the treatment but you can see obviously how much softer my curls are and hair looks more manageable than before. After the treatment, then scalp tonic and hair serum will be applied on the hair. The stylist would then proceed to ask you how you’ll like to have your hair styled. 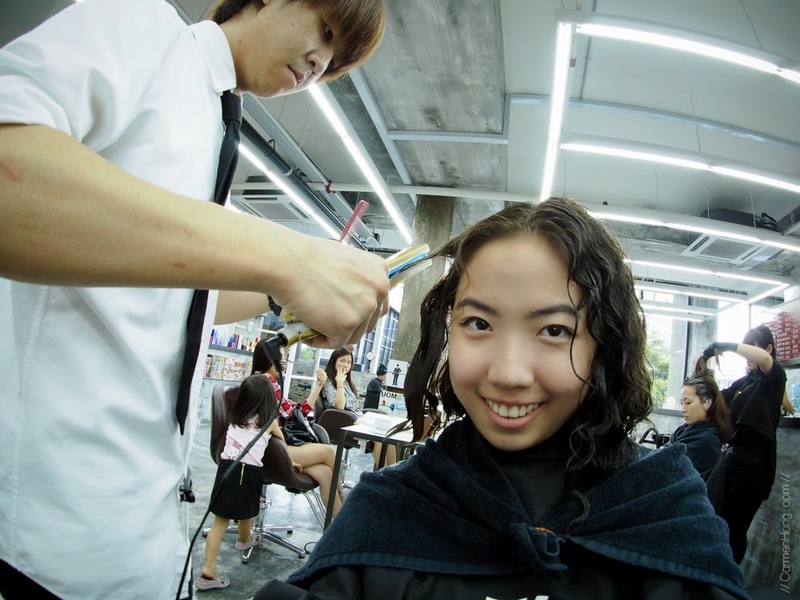 Since I usually have curly hair, Director Yamamoto suggested I opt for a straight hair styling instead. And straight hair styling, it was! 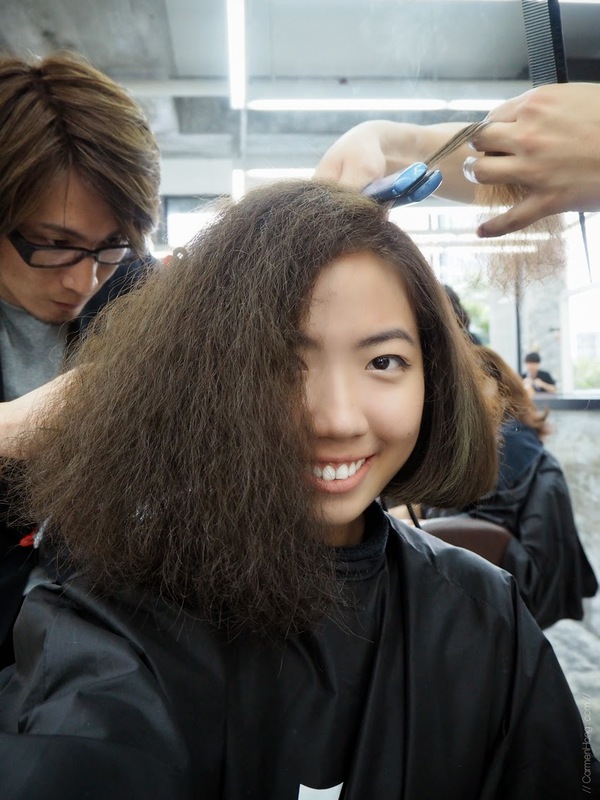 For this, they had to blow dry my hair which made my hair fluffy cause the curls go all over the place. Then, they flat ironed my hair as you can see in the picture above. I honestly never seen my hair straight but yet voluminous. 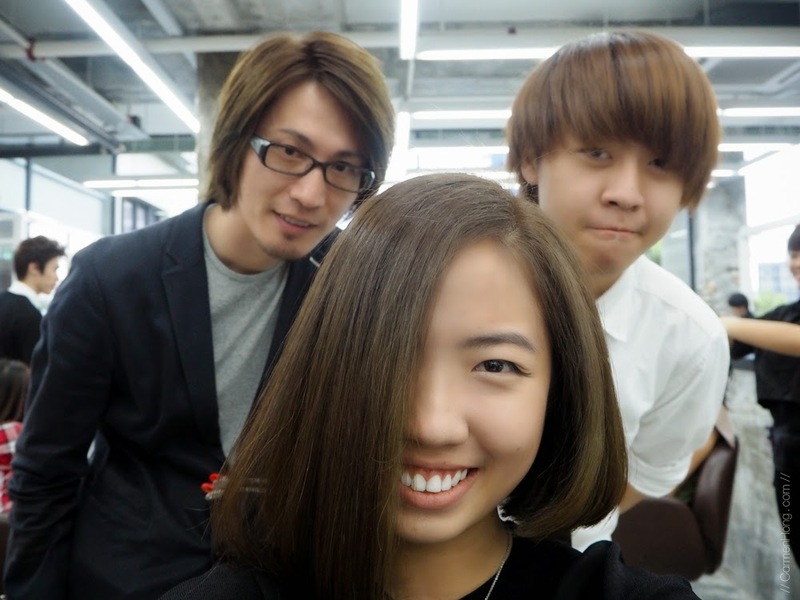 I did have straight hair before, but it was rebond-ed hair and my hair was so boringly flat. And ta-da! This is the end product from the treatment and the styling too. :) So so amazing work done by Director Yamamoto and Frankie! I have never seen my hair like this and it was just amazing how lovely I look like in this silky, straight hair. I loved the fact that it look so natural too. Like man, I can rock this straight asymmetrical hair. I was so so mad in love with my hair, you have no idea. So much so that I was considering keeping this hair permanent. It’s actually a really nice feeling to be able to run through my hair. 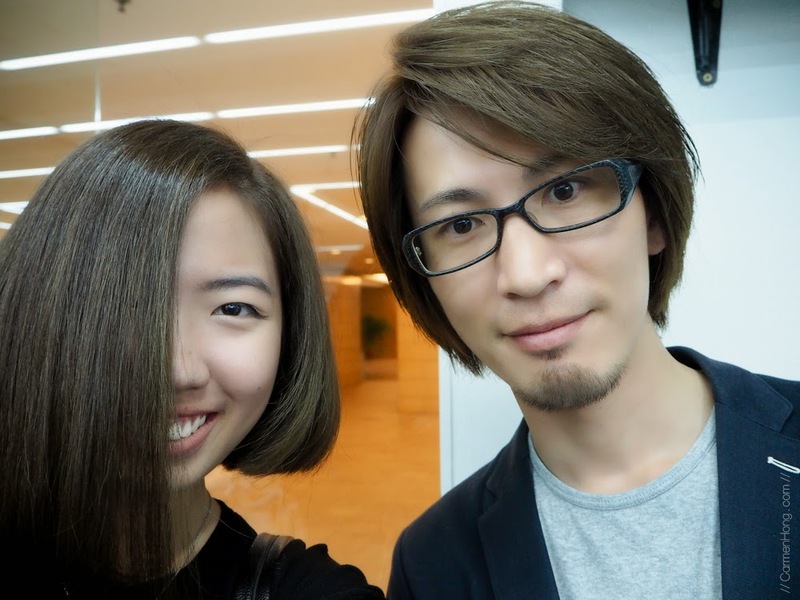 I couldn’t resist getting one more selfie with Director Yamamoto, who looks like so adorably cute here. He’s based in Number76’s Northpoint branch, so do drop them a call to book an appointment with him. If you can request for Frankie as your stylist assistant, you should too! He’s quite the friendly person, and it was nice to have him to assist the stylist. :) The treatment lasts for approximately one month and is priced at RM250, together with after treatment products. 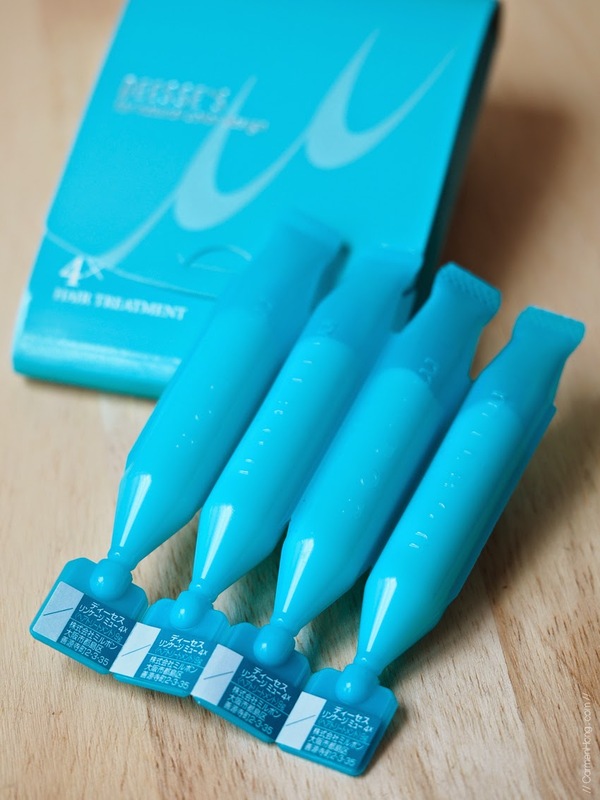 There are four tubes of hair treatments for you to apply on a weekly basis which will help to maintain the effect from the Ultrasonic Iron Treatment. These tubes are also sold separately if you would like to purchase additional ones at RM25/pack. 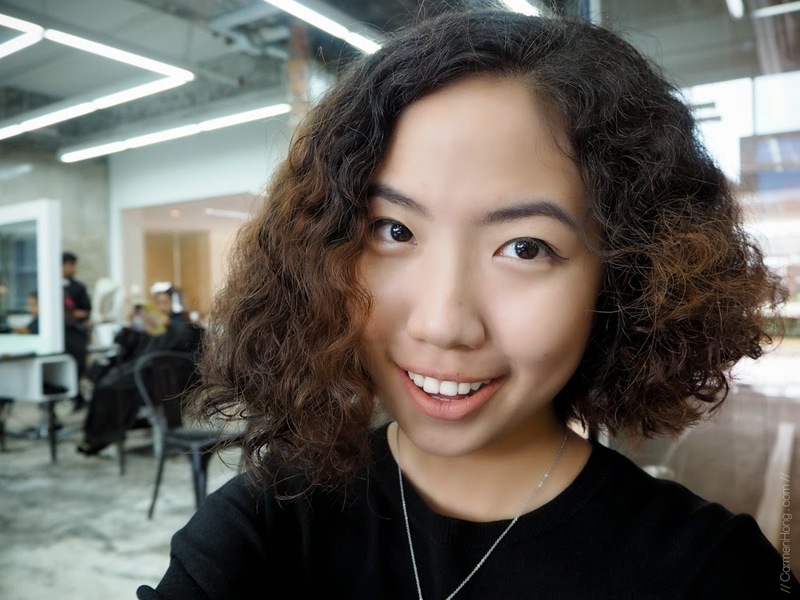 It has been two weeks or so since I last did my treatment and my hair is back to curly, but I can tell that my curls are so much defined and it is definitely softer and less frizzy compared as to before I did the treatment. Below are the information of the saloon for the MidValley Branch, do drop them a visit soon if you’re interested! Here’s one last picture of my hair after the treatment, I’m actually missing this straight hair. Which look do you think is better for me? The curly ones with all that drama, or an elegant straight cut for me? I love the straight hair look on you and that colour is perfffff!